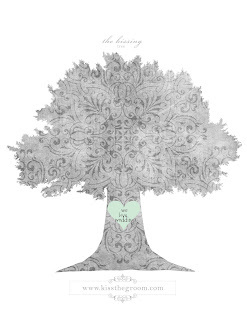 Check out Kiss the Groom and make your own kissing tree. Just type in your info and customize your very own! Print it out and post it to your cubicle or add it to your wedding planning binder!